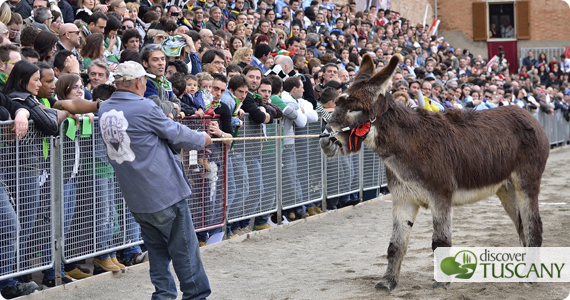 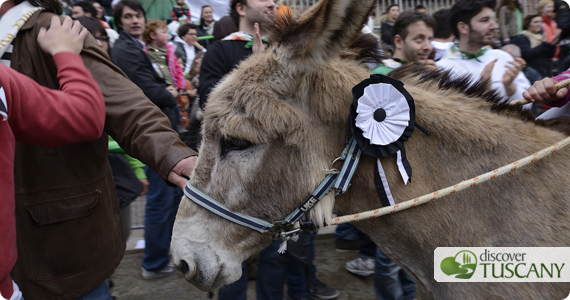 In case you did not make it to the Donkey races this past weekend in Torrita di Siena (close to Montepulciano), you can plan to make it next year! 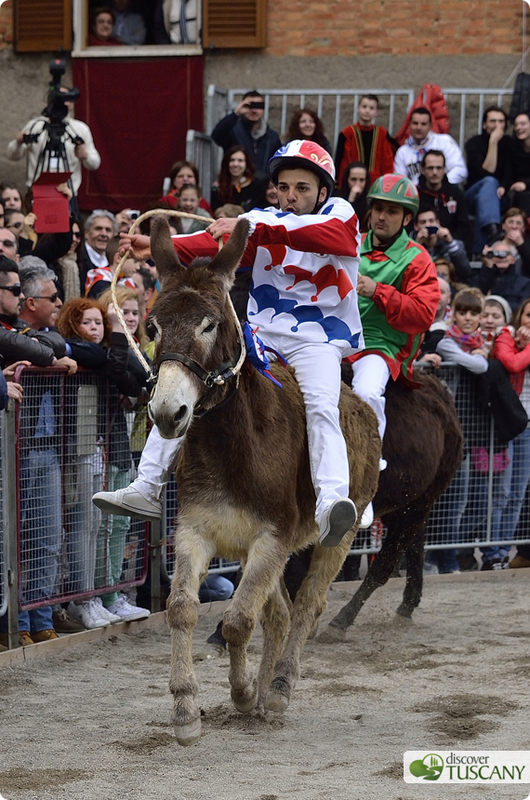 The Porta Nuova contrada won again for the 2nd year in a row, Aquila (Eagle) being the name of the winning donkey! 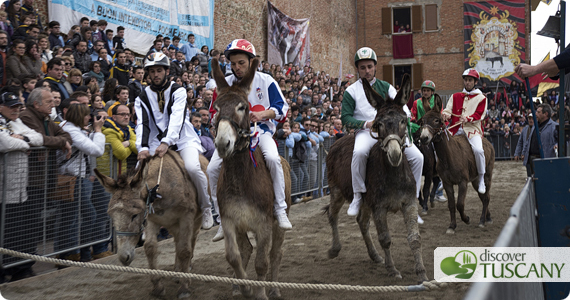 Here are some pictures to entice you to check this out – or other similar races – when you’re in Tuscany next!